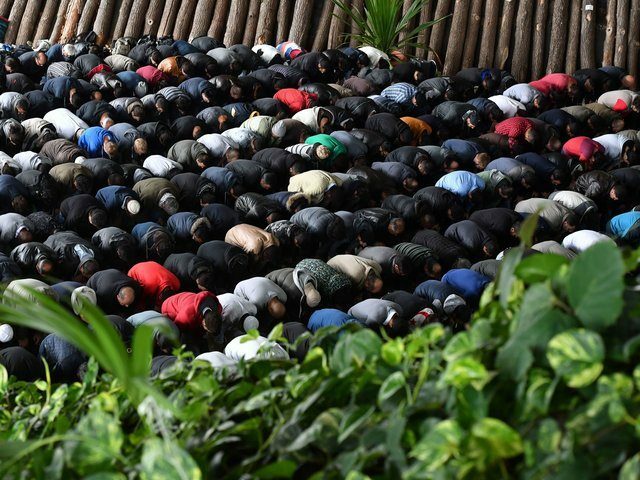 A new study on European attitudes toward Muslim migration has revealed that 55 per cent of Europeans in ten different countries want a halt to migration from majority Muslim nations. The study was carried out by Chatham House, the Royal Institute of International Affairs, and surveyed European attitudes to Muslim migration in the UK, Belgium, Germany, Greece, Poland, Italy, Hungary, France, Austria, and Spain. The 10,000 people surveyed were asked whether they agreed with the statement, “All further migration from mainly Muslim countries should be stopped”. Apart from Spain (41 per cent) and the UK (47 per cent), a majority in every country wanted a ban on Muslim immigrants. Across all countries, an average of 20 per cent disagreed with the statement, and in no country did the percentage that disagreed surpass 32 per cent. The largest resistance to Muslim migration came from Poland with 71 per cent agreeing on a total Muslim migration ban. Following is Austria (65 per cent), who were initially welcoming of migrants at the start of the migrant crisis. As the crisis wore on, the government of former Chancellor Werner Faymann collapsed and the subsequent government led by Christian Kern has taken a harder stance on migration. The Hungarians who have, along with Poland, taken a firm anti-mass migration stance comes in third with 64 per cent tied with Belgium. The Hungarian result comes as little surprise to many as Hungarian Prime Minister Viktor Orbán has highlighted the importance of maintaining Europe’s Christian character. Belgium, which has a large Muslim population particularly in areas of Brussels like Molenbeek, is a more shocking result. Belgium has also had huge problems with the growing radical Islam scene. The government was forced to admit that several Muslims danced and cheered after the Brussels terror attacks last year and one of the Bataclan massacre attackers in Paris was hidden for months in Molenbeek before his arrest. The results are also divided by age groups. People aged 60 or older are far more likely to support a Muslim migration ban than someone under the age of 30. There is also a division between university educated people and those with no post-secondary education. Among those of an academic background, those with a master’s degree or higher, 49 per cent support a ban and 59 per cent of people with a high school education or lower support it. The survey coincides with the rise of anti-mass migration parties across the continent, many of which have promised to put an end to the mass migration of people who primarily come from Muslim majority countries as well as an end to Islamisation. Some, like Dutch politician Geert Wilders, have even called for a ban on the distribution of the Koran. While the support for a Muslim ban comes primarily from the right, the report notes that a third of people who consider themselves left-wing would also support a ban.